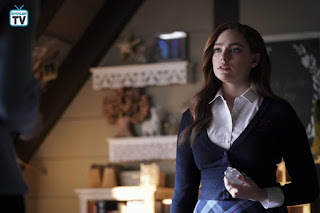 This week on Legacies, Lizzie and Josie were still fighting (for real, this time) and Josie was trying to find out about the Merge. Eventually, Alaric told them the truth. Rafael struggled with controlling his powers. Hope spent most of the episode talking to a magical hologram of Landon and realizes that he’s in trouble. Landon is held captive by Triad and Ryan (which is Triad dude’s name apparently, did we know that?) who tells him his origin story. It’s very confusing. Also, Ryan is apparently Landon’s brother(ish). They set out together to find the final key, followed closely by Triad. You lost me at Golem: Normally I never look in the WDYT thread on this site before I write these reviews. This week, however, I just had to know if I was the only one who was not happy with the flashbacks we got this week. I’m glad to know it wasn’t just me. First of all, please explain to me again how Golem leads to Phoenix? Because that’ the part where I tilted my head and said “Huh?” like I was looking at a math equation. These flashbacks were so confusing, I had to watch it a second time to understand it. And if this is all the backstory we’ll ever get on Phoenix’, I’m going to be hugely disappointed. Also, don’t even get me started on how Landon was conceived. Bad timing: Josie really hit her limit this time, we’ve seen her angry at her sister before but never like this. It was actually similar to the second alternate reality we saw. Of course, this is when they finally find out about the Merge. They took it better than I expected but I think they were still in shock. They’re really at a crossroads in their relationship, I think. This will either bring them closer together again or drive them apart. But I’m curious to learn what the writers are planning for this storyline. The twins are still very far away from their 22nd birthdays. So are they planning to drag this out (please don’t) or will this be expedited somehow? And then there’s the Caroline aspect of all of this. Sure, she’s overseas looking for a way to avoid all of this but the longer she stays away, the weirder it gets. And what happens when we move past this storyline? What excuse will they use for her absence then? Is it bad that I agree? 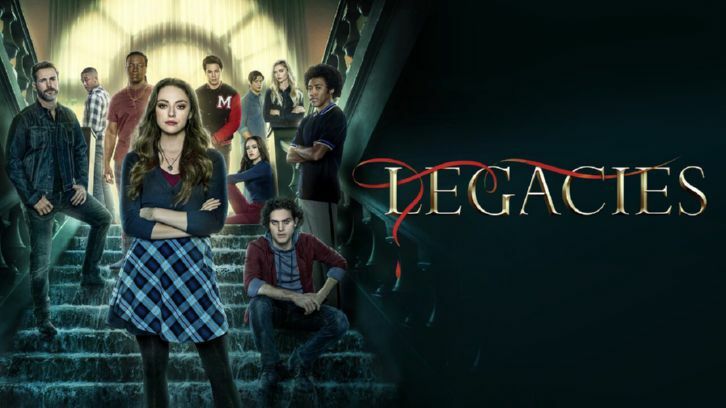 All the way through this season, many of the characters kept referring to Malivore being unleashed as the supernatural apocalypse. Overdramatic much? Even though I feel like I shouldn’t, I can’t help but kind of agree with Ryan and Landon’s plan. A lot of those “monsters” were consumed despite having done nothing wrong. They deserve to be set free. But will they be free, though? Will finding the last key free them from Malivore or will it just make him solid again, still trapping them? Still, bring on more species is what I say. No, thank you: Yeah, so Hope talking to fake Landon was just weird. I get that this was the writer’s way of showing us what Hope was working through regarding Landon leaving, but it didn’t come across quite right to me. Also, is it really that easy to create a magical hologram of someone? This seems like a dangerous concept. Has she done this with her parents? Or can it only be done with people who are still alive? Because otherwise it would be like the resurrection stone from Harry Potter and we all know how dangerous that could be. Technical question: This is something I noticed on my rewatch and I just couldn’t help myself. If the creatures (like the dragon) were wiped from memory when Malivore consumed them, how did the townspeople know he saved them from a monster, to begin with? Wouldn’t they have forgotten?